by Atkins, Robert Charles, Carey, Francis A. Comments: Used books don't have access codes, ships from U.S.A. 5th Paperback good used book, ships very fast! !, choose expedited for quicker shipping. Atkins, Robert Charles, Carey, Francis A. The solution manual provides step-by-step solutions guiding the student through the reasoning behind each problem in the text. 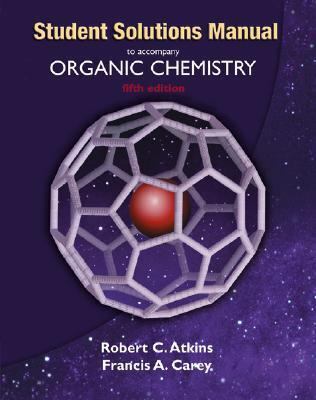 There is also a self-test at the end of each chapter, designed to assess the student's mastery of the material.Atkins, Robert Charles is the author of 'Organic Chemistry' with ISBN 9780072424607 and ISBN 0072424605.